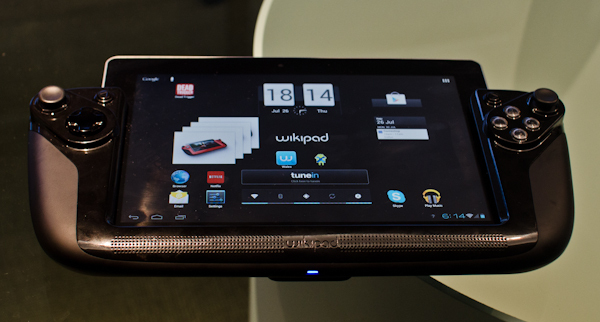 Could The Wikipad Be the Gaming Tablet We've Always Wanted? If mobile and portable gaming didn't have enough peripherals to sate a tech-addicts appetite, the Wikipad will be released in October of this year. While it is mostly an android powered tablet, the tablet comes with a gamepad dock and supposedly enough power to run video games. With a new Tigra 3 quad-core processor and 1 GB of ram, it will be released with slightly more power than the recently released Nexus 7 but less than the Ouya console currently in development. The Wikipad will be available on Haloween for $499 at Gamestop, and while the gaming tablet doesn't have a product page yet, pre-orders are going to get full games to go with the tablet. Considering the fact that this tablet has to compete with not only the recently released Nexus 7, but the upcoming Microsoft Surface and the rumored mini iPad, it will be interesting to see if this gaming tablet will steal the show.